Our doctors at Vicksburg Family Dental Group, located in Vicksburg, MS, can restore the health and structure of decayed teeth when you visit us for a dental filling. After removing the decayed tissue, our dentists will fill the space with a dental filling that blends in with the rest of your smile. 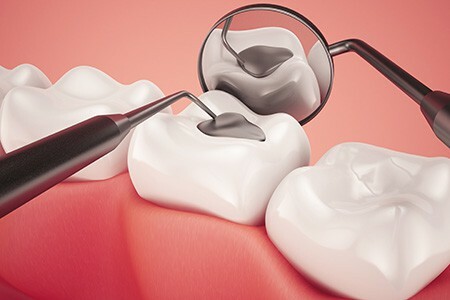 If your tooth is decayed or damaged, a dental filling may be a great choice for restoring your oral health and function. We invite you to call our office at (601) 636-5321 or visit us today to learn more about dental fillings and to schedule your next appointment with our team. We look forward to caring for your smile!